Marijuana Mythbusters » Myth Busted: Does coughing make you more high? Myth Busted: Does coughing make you more high? So, awhile ago we set up a poll asking our readers if they thought that they get more high when they cough while smoking makes. It seems like 78% of us feel that coughing gets us more high, while 17% say it doesn’t, and 5% apparently have never coughed while smoking. Now, here are some things to consider which might justify some truth behind this marijuana myth. 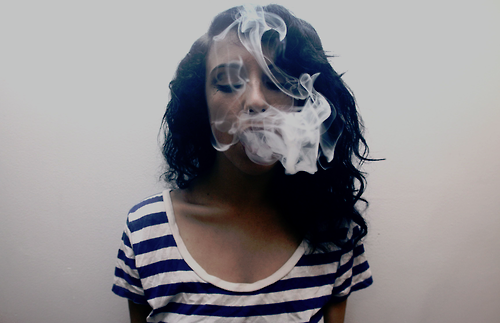 When you smoke marijuana, the main ingredient which gets you high is the chemical THC. Good old Delta 9 Tetrahydrocannabinol. When the THC reaches approximately 301 degrees Fahrenheit it becomes active (CBD at 403 F and CBN at 415 F). This is the reaction that occurs when you light a joint or a blunt, torch a bong, or use a vaporizer. In a joint, for example, the paper burns at 451 degrees Fahrenheit which is a major them in the book Fahrenheit 451. Or in the case of a bong or a bowl where you are using a butane lighter which burns around 550 degrees Fahrenheit. So, depending on the person and the size of the apparatus you are smoking out of, everyone will take in a different amount of smoke on any given toke of the sacred herb. When you cough, your lungs are gasping for air, its an instinct which has stuck with us from our time as reptiles millions of years ago. When you cough, your lungs expand, and certain areas of your lung are exposed to smoke that wouldn’t have been had you not coughed. So, you might not get as high taking a hit from a joint that makes you cough as you would from a hit from a bong. But, the best way to utilize any given hit is to maximize the amount THC that you absorb. This can be easily achieved by coughing and increasing the surface area in your lungs that can absorb the THC, or by holding in the hit. We have also been looking in to what the ideal amount of time is to hold in a hit. Let us know what you think it is, by voting in this poll. And, to vote in the coughing poll, click here. 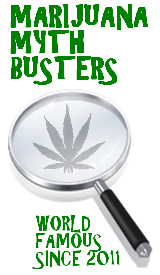 This entry was posted by Mythbuster on November 12, 2011 at 12:46 am, and is filed under Marijuana Myths. Follow any responses to this post through RSS 2.0.You can leave a response or trackback from your own site. I actually just read this right after a coughing fit caused by a fat bong rip of some Skywalker. I would say that it is either the coughing or the time my body had to absorb the THC over the time I read this article. Good discussion. Doesn’t coughing contract your lungs, not expand them? I think that the reason people think coughing makes you higher is just because you’re taking a big enough hit to even make you cough. of course coffing while toking makes you higher. experienced many times. Who knew science could be so fun? Not us, that’s for sure. But yeah, there’s nothing better than a good ghost hit. But coughing is also worse for the lungs isn’t it? Regardless of if it gets us higher, shouldn’t we be more careful of not hurting our bodies? That’s a good point, Zach. When I take a huge hit from my bong, I cough a lot and when I finally stop, it’s like I’m in a whole new world. without the coughing I wouldn’t be as high so yes it does help! when i take a huge hit i swallow my hit sometimes is this doing anything? Nope. It’s just like swallowing air. People who eat very quickly swallow excess air when the eat, this is released by the body as a burp. One of these times you might just end up burping smoke. It takes 3 seconds for you to absorb the majority of thc in marijuana smoke, longer than that and you’re just getting tar on your lungs. Holding a hit for longer than ten seconds may make you feel higher, but actually you’re starving your brain for oxygen and killing brain cells. We’re looking into the ideal amount of time to hold in a hit. We’re thinking that the number is closer to 6 seconds. Do some experimenting and get back to us though. We would love to hear what you come up with. It takes 3 seconds for you to abosrb the majority of thc in marijuana smoke, longer than that and you’re just getting tar on your lungs. Holding a hit for longer than ten seconds may make you feel higher, but actually you’re starving your brain for oxygen and killing brain cells. Can you donate blood if you smoke or have smoked marijuana? Can you die from smoking too much weed?